If you frequently write stuff (content) that is shared to a blog, email newsletter, social media platform or anyplace that might appear on the web you might find this short course (broken up into even shorter following segments) useful. This series is designed to share some tips that save me time so that I'm writing smarter by streamlining my writing and posting experience. This Write Once, Post Anywhere series is about learning how to use a language (or syntax) called Markdown instead of relying on something like Word, Google Docs or some online text box for writing and formatting your text. You probably have spent time working with Word, Google Docs or a similar word processing app that allows you to create pretty documents that you can then distribute to others as an email attachment or link from the cloud. These are, after all, business applications that are used by most companies. However, maybe you've run into that inevitable problem of trying to copy/paste from such a document, especially to reuse material for someplace on the web, but found that it ended up looking very wonky and out-of-sorts, or worse broke a webpage. That's because the web likes plain text, not proprietarily word processed pretty formatted text. The foundation of the web is built on plain text and that's why you'll save yourself lots of future hassles by shifting your writing workflow to Markdown. Writing with Markdown (MD) means that you'll use a plain text editor that's more like a typewriter than a word processor. Yes, I'm talking about apps like Microsoft Notepad, Apple TextEdit and Linux VIM. These are programs that let you produce plain text documents (or .txt files) without any features for actually formatting your text with colors or different font sizes/styles. More importantly, the content they produce works anywhere on the web! As a side benefit, it's easily understood by anyone reading it – even if they don't know what Markdown is. A Markdown file will end in something like .mdor .markdown. If you copy/paste material from a MD document, it's going to work anyplace. 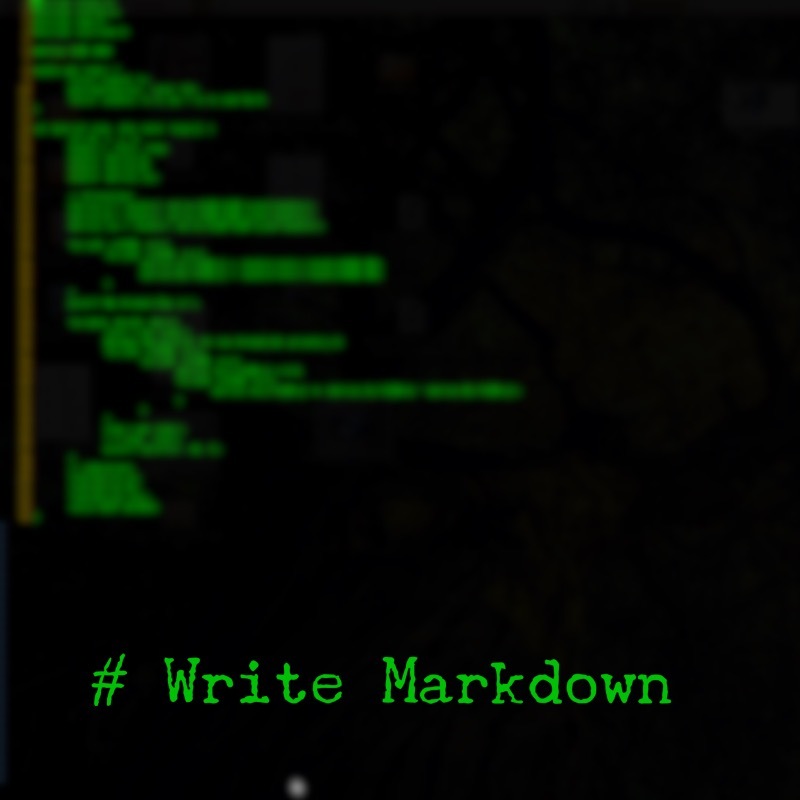 Open a text editor for Markdown. Quickly learn about Markdown headers. Learn how to write a paragraph in Markdown. Learn how to make a link inside a Markdown document. Learn how to insert an image in a Markdown document. Learn 6 more Markdown rules quickly. This is why you might benefit from writing Markdown. Is It Time To Ditch Link Shorteners?